It’s a place where people come together to share meals and conversations and when your kitchen is looking neglected or dirty, it does not reflect well on the household and can cause your family some serious health issues. That’s why it’s important to have a kitchen that is as healthy and clean as possible. If you spot even just one pest or insect in your kitchen then chances are there are more of them! Here are some preventative measures to avoid having pests in your kitchen. When you want to have a pest-free kitchen, one of the greatest preventative measures you can take is to hire a regular cleaner. That’s because having a clean home is one of the most efficient ways to avoid pests. Rodents like mice and rats may be attracted to a kitchen with grime. We know that you can’t be expected to clean your kitchen with full efficiency with everything you have going on in your life. You have friends, family, and a job to attend to. When you hire professional cleaners to keep your kitchen clean, they will also know whether or not you have pests right away. They’ll know the warning signs that you might not notice and as such, you won’t end up in a situation where you have pests in your home for a countless amount of time without knowing. One of the best ways to prevent pests and to know whether you have them when they first enter your home is to keep your cupboards organized. That’s because organized cupboards will prevent pests from being able to hide in the nooks and corners of your home. In comparison, cupboards that are disorganized can hide droppings from rodents or from pests like termites. Not only this, but keeping your cupboards organized will prevent grime from building up within them. Your kitchen and cupboards may also have added humidity, which will attract pests. When you leave food around your home, you’re essentially inviting pests to feed. One of the best ways to avoid pests in the first place is to ensure that you don’t have food laying around. Your family members should follow the same initiative because one piece of bread can lead to a world of struggle. You should also clean out your cupboards and counters regularly. This will remove crumbs from your home and as such, you don’t need to worry about crumbs causing pest infestations. If pests do not have any food to feast on, they’re less likely to enter your home. You should also make sure that you don’t have any open bags with food in them. Instead, you can use ties or clips to close any bags because pests will be attracted to the food and may cause a mess in your home. If you notice that you have open bags of food and that food spills from these bags, this is a sign that you have pests and you should call professionals to remove them. 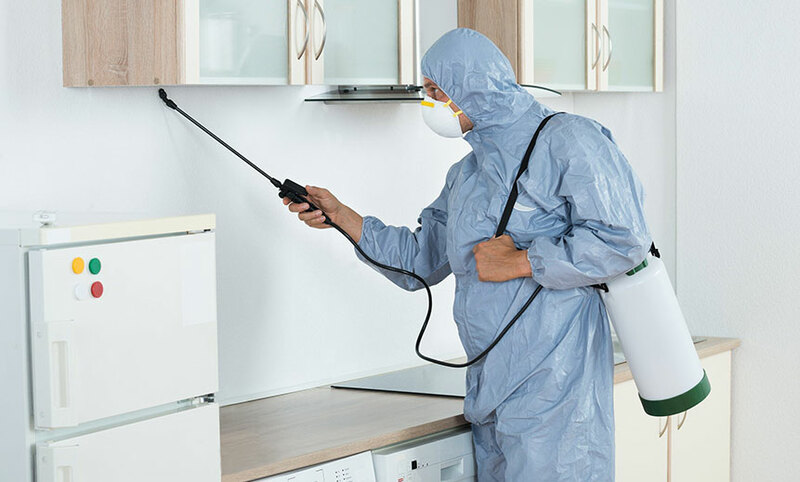 If you’re worried about having pests in your Gold Coast home and you want to know how to have a permanently pest-free kitchen, you’ve come to the right place. At Dom Care Cleaning, we take your home’s cleanliness seriously and will help you have a sparkling clean kitchen all year round. If you’ve read this and you want to know about our services or book your next cleaning appointment, contact us today. We’d love to hear about all of your inquiries and questions and we’ll answer you to the best of our ability.